After being involved with the Vance Brand Airport and attending Airport Advisory Board meetings for years, figured it was time to finally apply for this board and serve the community. Despite some pretty shady and underhanded maneuvers by some council members, your humble editor/publisher received a majority of votes to become a regular member for 3 years. Also, Council member Katie Witt has replaced Sean McCoy as council liaison. Now there’s some change we can believe in! Tagged Katie Witt, Longmont, Sean McCoy, Vance Brand Airport. Bookmark the permalink. Chris, I didn’t understand what took place in the final minutes of Tuesday evening. 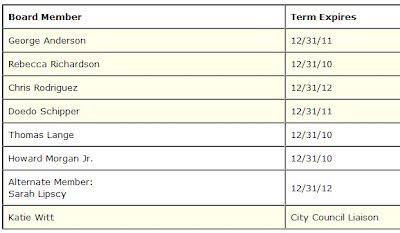 Councilwoman Levison called for a re-vote of the Airport Board, and I thought she got a second from Councilman Hansen. No such re-vote was taken, however, and the topic died after Councilman Santos expressed a dissenting opinion. Maybe it wasn’t a formal motion, and it likely would have been voted down anyway, but it was very odd to hear a call for a re-vote, ten minutes after the original vote took place. She never made a motion, just complained due to her lack of paying attention when the actual vote took place. It’s only occurred one other time, when Benker told Hansen “NO” after he voted “incorrectly” according to her.